Maneige are unique, and a difficult band to classify. While there are definitely tinges of jazz and progressive rock (with many odd time signatures and angular composing, improvising, and the occasional distorted guitars and fuzz bass), the predominant ethos is of modern classical music coupled with references to traditional French classical and folk music. While the music is very diverse - from sections that sound almost medieval, to beautiful emotive Rachmaninoff-like runs, to others that involve extreme dissonance and white noises, and everything in between - the music all flows together very well. While their later albums would become ever-more influenced by mainstream jazz fusion and Canterbury stylings, this album has fewer references to those. On these earlier albums, flutes, pianos and xylophones are the primary lead instruments. This is my favourite album of theirs. The compositions are completely original, always changing-never boring, and very musical (revealed only once you listen to them a number of times - the music is quite dense, making it absolutely necessary to give this multiple listens). One can tell a lot of effort went into composing the pieces on this. 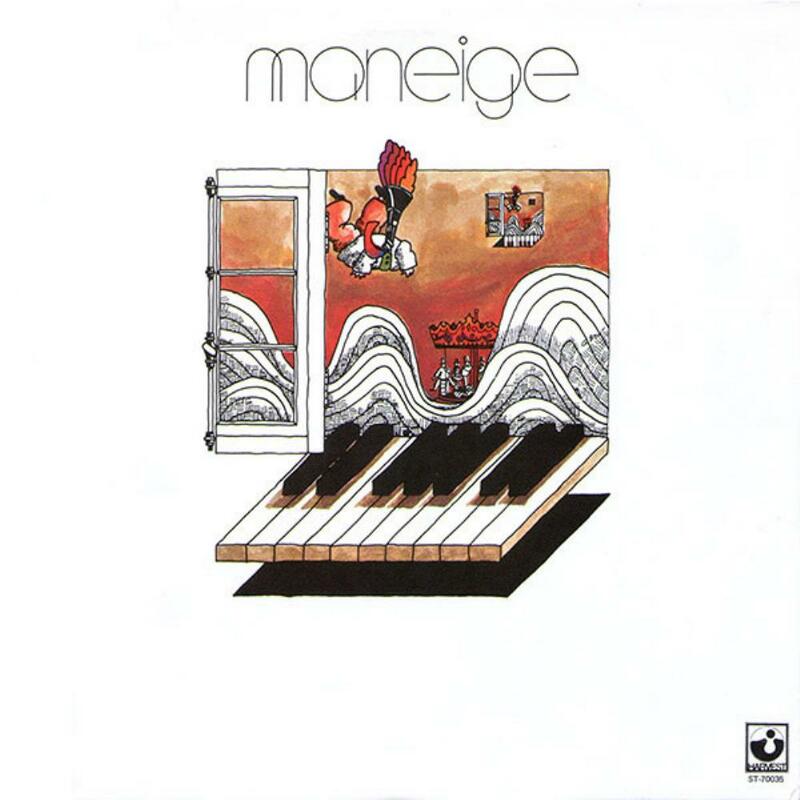 The first four minutes of the album (of the first composition - the 21-minute Le Rafiot) contain probably most dissonant sounds in Maneige's discography. But once you get through that, the main themes of Le Rafiot emerge on piano, flute and marimba, and these are very beautiful and emotive, followed by some sections that are very playful and memorable (although completely different music, some remind me of Tchaikovsky's themes from the Nutcracker). The piece constantly shifts, moving between contemplative broodyness, jazzy improvisations, fast dramatic piano lines, and playful or dramatic themes. The second side (of the original vinyl album) contains three shorter pieces (between 4-8 mins), with sonic textures one might be more accustomed (with the drums, electric bass and guitar more prominent, for instance) but otherwise similar intricate arrangements and intense musicality. The CD re-issue by ProgQuebec contains two bonus live tracks, one of which is otherwise unreleased and really excellent. All in all, highly recommended, a true original of Canadian music. I give this 8.9 out of 10 on my 10-point scale, which is just shy of the threshold for 5 stars, so 4 PA stars (really more like 4.5 stars).